The B.F.A. in Screen Acting is a collaborative program offered through Dodge College and the Department of Theatre. 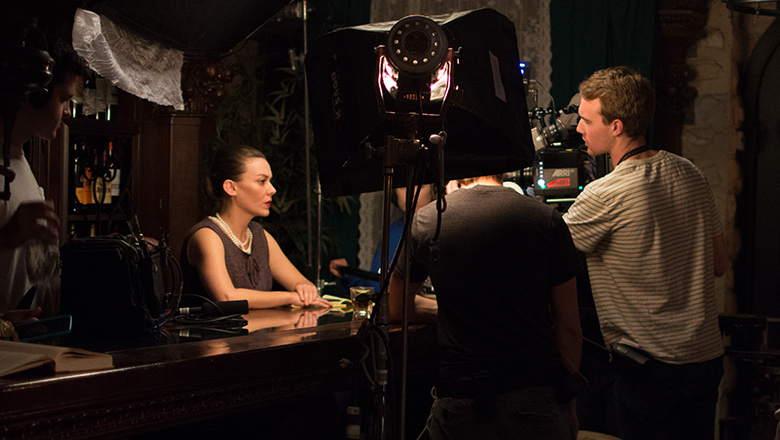 The Screen Acting degree focuses on acting for the screen in front of the camera. You begin the program in the Department of Theatre taking foundational theater coursework in acting technique and related skills. You will also enroll in fundamental film classes such as screenwriting, film technology, history of film, and other applied film and television courses to enhance your understanding of acting for the screen. For more information on this program, please visit the Department of Theatre website.